Ashleigh (Scotland) Limited are nearing completion on a social housing development at Braille Crescent, Renfrew. The completed units are being delivered to Sanctuary Scotland Housing Association. 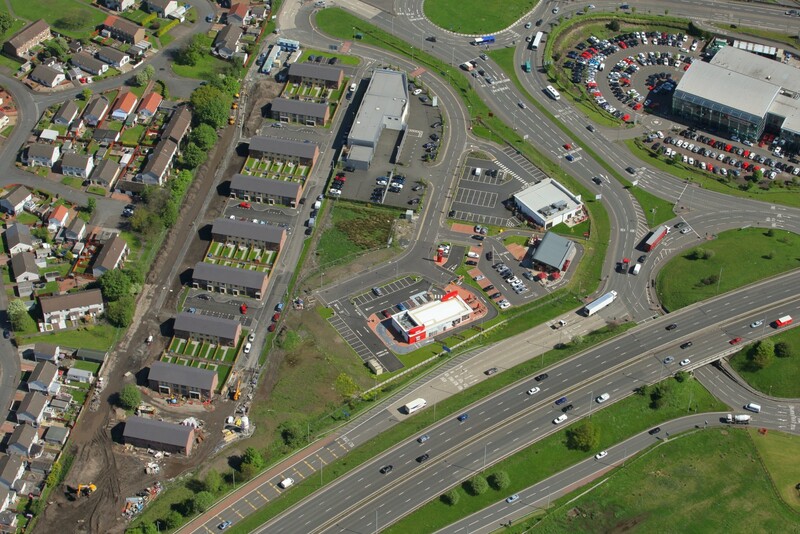 The project is part of the Junction 26 master-plan which also incorporates the recently completed Costa Coffee Project. Attached is an overhead view of current progress.